You may remember maker Colin Furze as the guy that created a real-life (and fully functional) Assassin’s Creed rope launcher or homemade Magneto shoes. 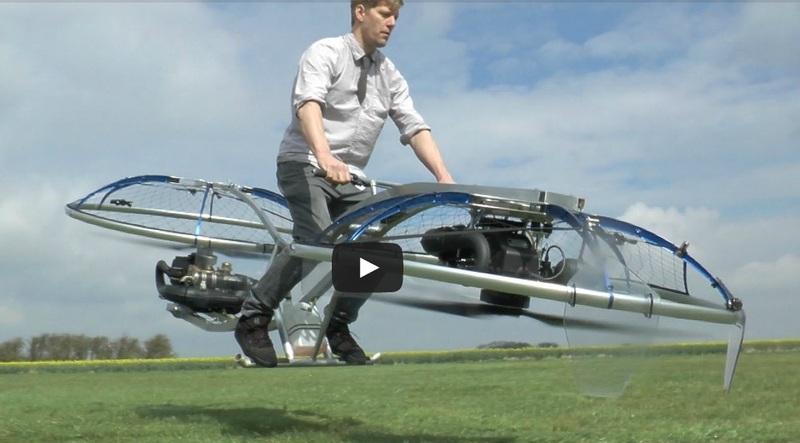 The zany Brit was recently sponsored by Ford (go figure) to create a functional, homemade hoverbike. Faced with the possibility of letting the entire Internet down (ok, not really), the plumber's first-ever attempt at making something that leaves the ground was a success. Sure, it doesn’t have steering, brakes or even a seat and it looks incredibly dangerous but it does fly (sort of) and apparently that’s all that matters. As you’ll see, Furze took things a step further by adding what I can only assume is a Saturn Missile Battery to the front of the craft. With the help of some neon (UV?) lighting at night, you’ve got something that looks like its straight out of a video game or sci-fi movie. 0 Response to "British maker Colin Furze builds fully functional hoverbike"